Below is the tentative agenda for GDG DevFest Philippines 2015. There will be hands-on sessions this time, especially on new technologies like Android M, Firebase, Material Design, Polymer, and more. Follow the instructions here on how to setup your machines for the code labs. Each session will be first-come-first-served. There will be a maximum number of participants in each room. You are free to choose which track you want or the specific sessions you want to join. For example, you can join Code Lab Track 3 for the whole day. You can also choose session 1 of Code Lab Track1, session 2 of Code Lab Track 2, and session 3 of Code Lab Track 4. Stay tuned in for updates. 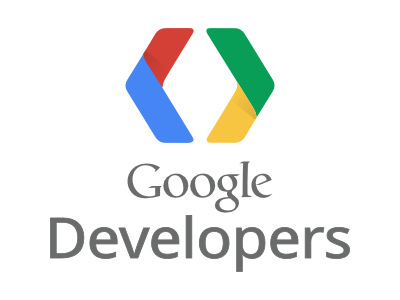 Add GDG Philippines in your Google+ circles for updates. please update us re: speakers and agenda. we want to know the details before we register. we are interested, please give us an update. thanks! Good day! May I know when will be the confirmation of the attendees so that we can prepare for the said event if we where included in your list. Thanks. We have already started the sending of confirmation emails. We'll be announcing if we have already sent all the confirmation emails to those who will have slots. is it too late for my husband to register? do we need to select which track we will choose for the afternoon session? when ? during the event? my friend registered last week but she didn't receive a confirmation in her email..can we register tomorrow in the event even if she didn't receive a confirmation ? Hi I registered but didn't get a confirmation..can I register in the event tomorrow? Pwede pa po ba humabol? As of now, registration (http://devfest.gdgph.org/p/registration.html) is already closed. Please add GDG Philippines (plus.google.com/105750470224587854845/posts) in your Google+ circles for updates about our events.